Unless you own a junkyard, you need to live and work in a junk-free environment. Get rid of the garbage that is cluttering your space. Couser Hauling in Arlington, Virginia, provides comprehensive and prompt junk removal. Most importantly, you do not have to wait a week or even a day for pickup. That’s because we can be at your residential or commercial property on the same day as your call. You thought you could handle your junk, but you can’t. 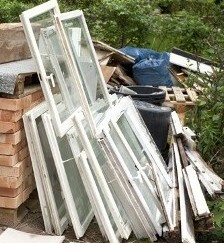 The construction or cleanup project creates a pile of rubbish that made a mountain on your yard. No need to worry about it. 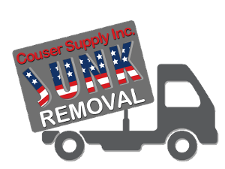 Simply call our junk removal specialists, and we’ll cart it away on the same day. Big or small—we handle it all! Since we specialize in solid waste removal, we have the equipment and manpower to do the job quickly and efficiently. What may seem like a mountain to you is a molehill for us. We have provided junk removal for many years, and we know how to do it while ensuring your property is undamaged in the process. You point, and we’ll pick it up for you. It is that simple. You do not need to move a muscle. Whether the junk is on your lawn, in the basement, or tucked away in a hard-to-reach location, our team will get it for you. In fact, we also provide demolition services. You’ll find that our friendly staff is more than willing to answer your questions and provide the heavy lifting for you. Contact us today when you need junk removal services as soon as possible. We proudly serve residential and commercial customers in Arlington, Virginia.